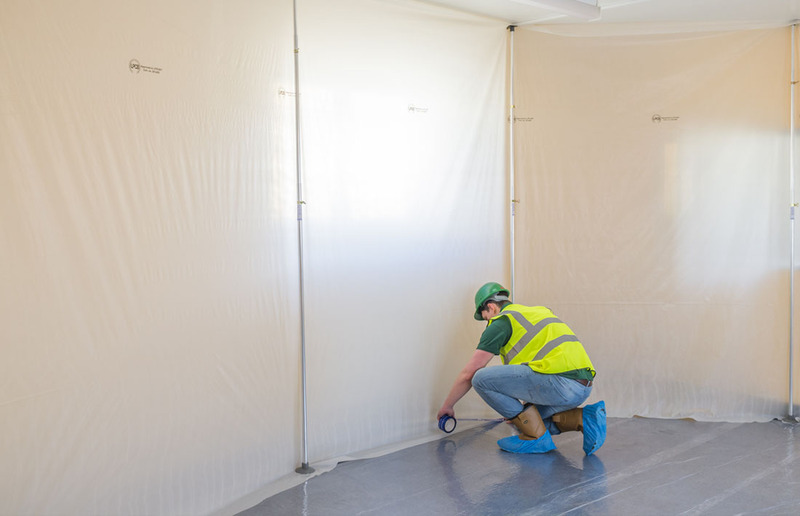 Available from our fellow subsidiary Protecta Screen Limited, we can offer a complete range of internal temporary protection products to suit any need. Please visit our Protecta Screen website for further information. Protecta Board™ is a fluted polypropylene (correx) board suitable for for multi surface impact protection, most commonly used on floors and surfaces, but can also be used for other applications such as windows and walls. It is an extremely well established product which is used in many protection applications across construction and decorating processes. 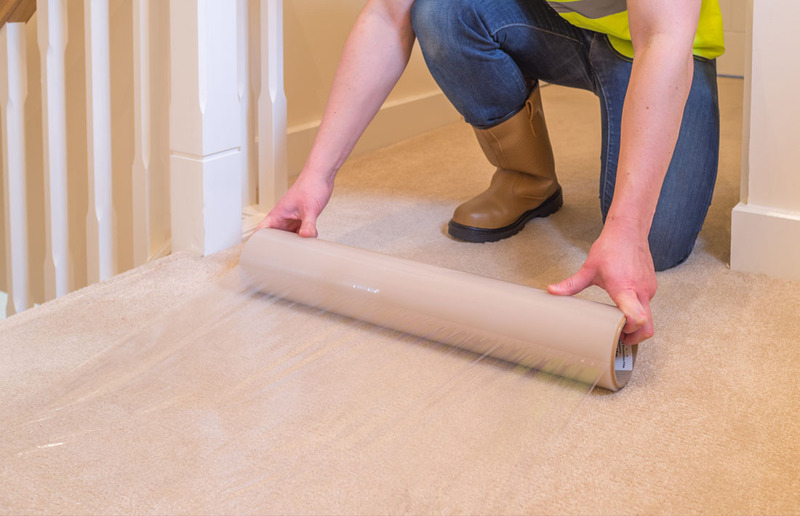 Protecta Carpet™ is a tried, tested and proven self-adhesive clear carpet protector film. It can be applied freehand or with specially made with our carpet protection film applicators. 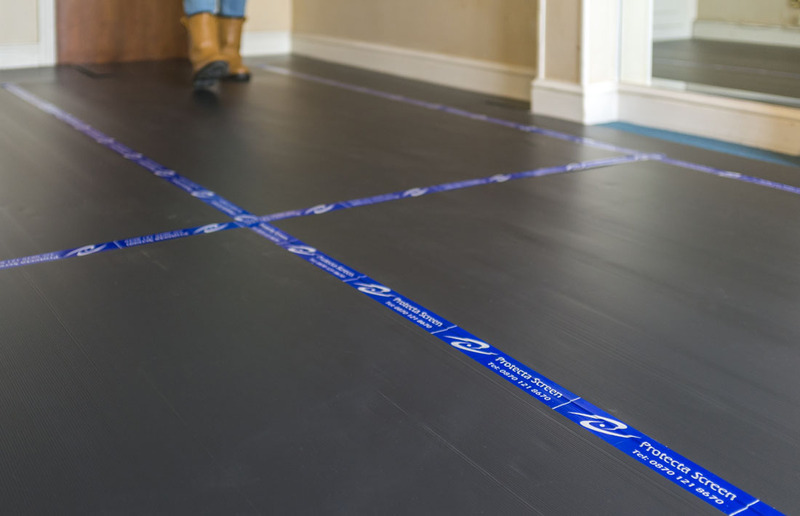 It can be laid in single strips as a ‘runner’ or installed across a whole carpeted surface to provide a waterproof barrier; protecting from spills, dirt and contamination from foot traffic. 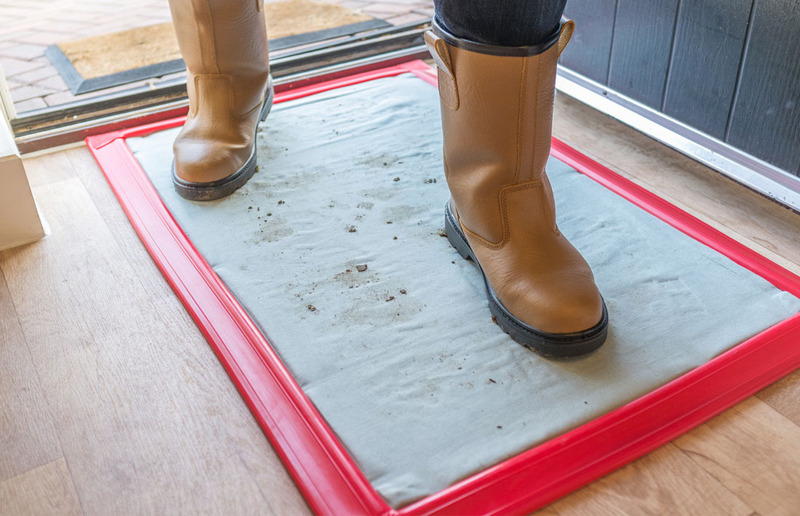 Protecta Mat™ is a low profile site entrance tack mat used for removing dust, dirt and debris from footwear upon site / building entry. Each removable sheet is slightly adhesive (tacky) – when the user steps on the mat, surface dirt from footwear is transferred on to the mat ensuring a cleaner site. Contains 30 removable sheets with a self adhesive backing to secure Protecta Mat™ to the floor. Protecta Screen Foam Jamb Guard™ FR is a high impact foam profile that provides exceptional protection from accidental collisions. Designed to fit most jamb widths and heights it is very quickly applied by simply pushing into place, can be cut to length and is also completely reusable. 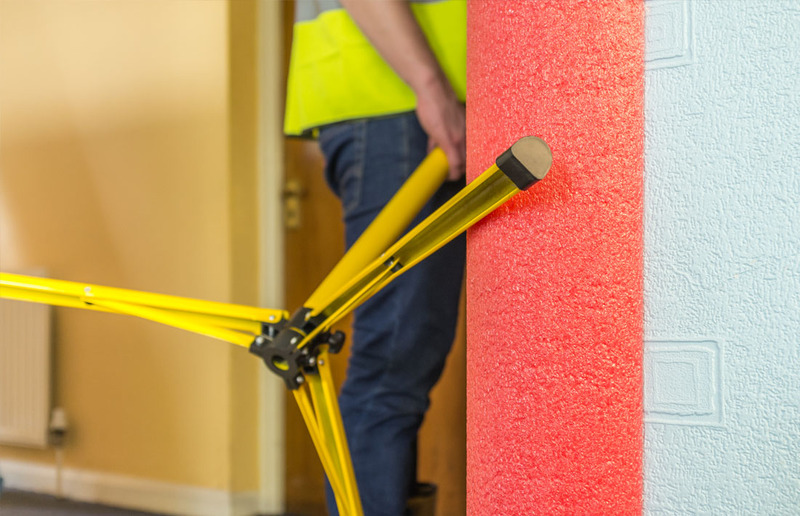 Protecta Screen Foam Jamb Guard™ FR is completely non marking and in most cases requires no additional taping or fixing. Screening Material is a translucent economical temporary screening creates an effective barrier whilst allowing light through with used with our Quickprops™ to create a temporary screen. Interested in our temporary protection products?